Więcej niż HOTEL NAD MORZEM Z AQUAPARKIEM! Aquapark nad morzem czynny przez cały rok! Mnóstwo atrakcji, w tym zarówno dla dzieci, jak i dorosłych. The Health Resort & Medical SPA Panorama Morska in Jarosławiec includes pools of the total surface amounting to 1700 m2, a steam room in the cave with waterfalls and SPA&Wellness parlours. Choose our 1, 2 or 3-day trips for schools and visit the Aquapark in the Health Resort & Medical SPA Panoama Morska in Jarosławiec. W naszym Aquaparku znajduje się nowoczesna Strefa Wellnes, w której można skorzystać z Sanarium, 5 relaksujących kąpieli jacuzzi, a także w którym odbywają się seanse parowe. Take advantage of our 1 – 3 day school trips to the Aquapark Panorama Morska in Jarosławiec already for 59 PLN per one person! Nowhere else kids shall be granted this magical opportunity to amuse themselves so much! The wild world of the Pirate Adventure in the Aquapark at the Baltic Sea is waiting! The offer shall be valid exclusively in May, June, September 2016 and 2017. 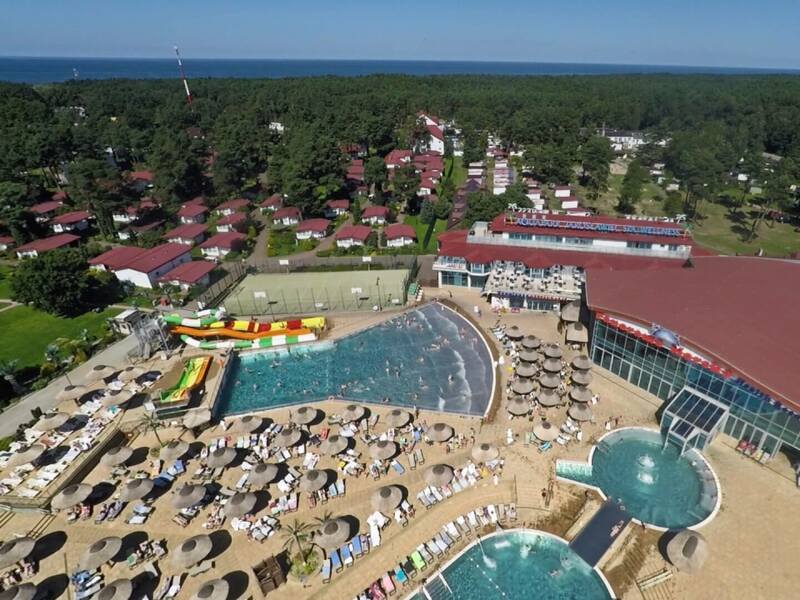 Karaoke On request, the Resort & Medical Spa Panorama Morska in Jaroslawiec organizes also theme parties (Sea Shants, Pirate Ball, Frigates, Sea Highlanders' World) or integration says, occasional events, conferences, trainings, company picnics and SPA stays. The stay cost is calculated individually. The Wellness Zone is located in the Aquapark, in the same building where you shall also find the Tropicoco restaurant. Entrance fee 80 PLN/person.